Big Top Circus offers PA DAY camps to keep your kids busy while ensuring they are having lots of fun! All school age children are welcome and participants will be given instruction according to individual skill and potential. 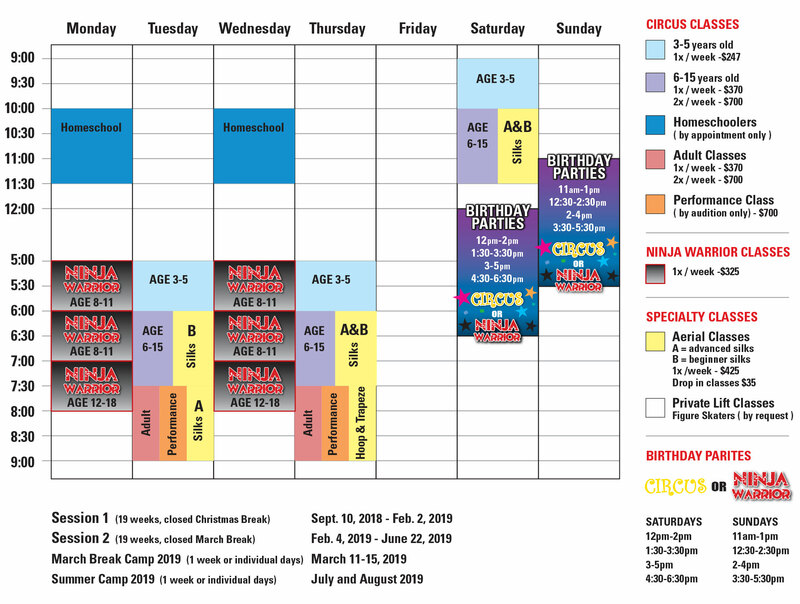 The PA day programs are a fun way to experience what BIG TOP CIRCUS has to offer. Your kids will have a blast!!! Parents are welcome in the school at any time during the PA DAYS to view their children’s activities and progress. Imagine how much fun they’ll be having when you experience so much from just watching them! 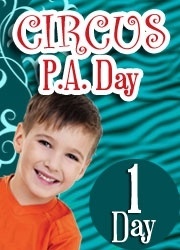 The PA Day program runs from 9am to 4pm for $50 +HST. Extended hours are offered from 8am to 5pm at an additional charge of $10 +HST. Students wear fitted gym clothes and socks for this program. Your kids will have an unforgettable experience and lots of FUN at Big Top Circus PA Day Programs. Call today 905 898-0699 to register for your spot! !